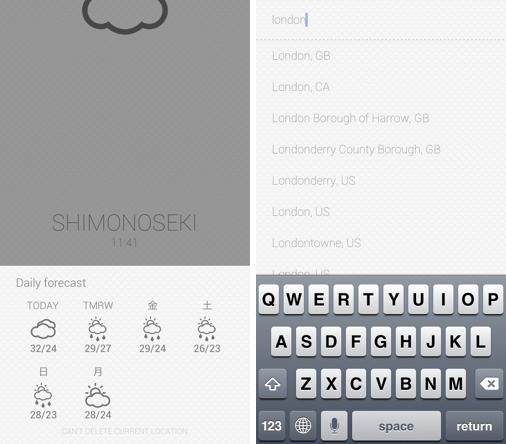 Hazy is build around the idea of giving you the most useful forecast information at a glance. 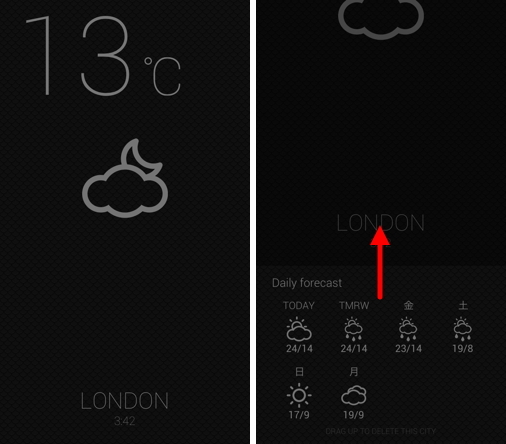 Swipe down to see 24-hour forecast from now on and swipe up to get a 7 day forecasts. 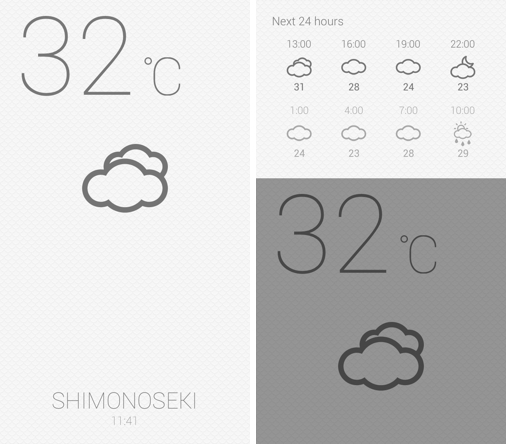 The background color will change automatically by sunrise and sunset time of the city.